Pinklebellls is a gorgeous pink glitter bomb that contains fuchsia, silver and gold holographic microglitters that represent the ornaments on Peita's pink christmas tree. This is one of my faves from the box and would be perfect any time of the year. It's so sparkly and gorgeous! It was easy to apply and 3 coats is pictured with a coat of Seche Vite. Drowned in Custard is a light gold yellow creme filled with green, gold, red and silver holo glitter with a very very subtle red shimmer base. Now I don't like custard but I adore this shade!! It definitely reminds me of custard but with added Christmas-y sparkle. 3 coats is pictured which was a bit thick on the nail so I'd do 2 careful coats and ensure plenty of dry time in between coats next time I use it. You're a Mean One Mr Grinch! 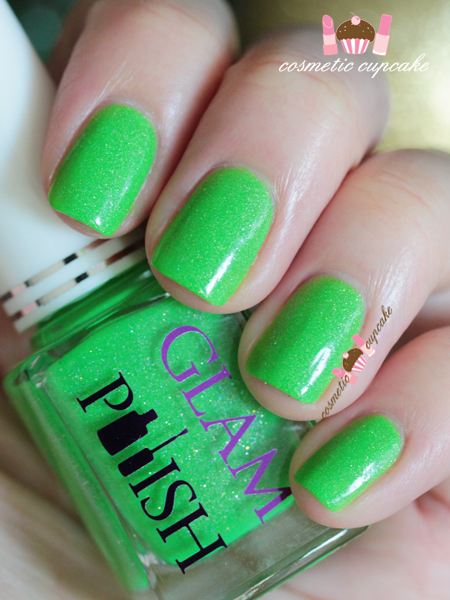 is a neon green with silver shimmer holo through it. It's super bright and a really nice change from all the usual dark greens in most Christmas collections. It's perfect for a Summer Aussie festive season!! It applied easily drying to a semi-matte finish. 3 coats is pictured. 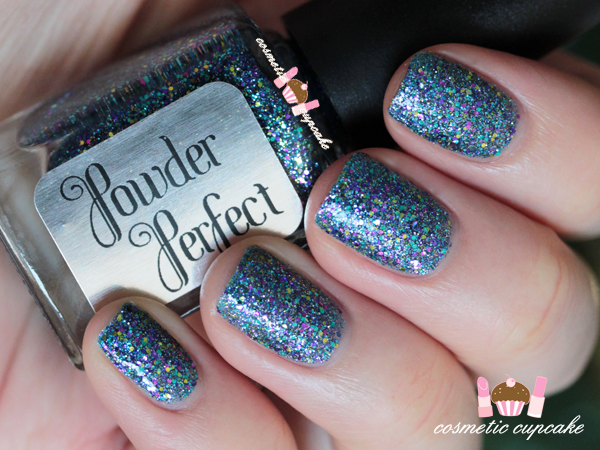 Sweet Baby Jesus is described as a "scattered holo with irridescent flakies with blue to violet colourshift". How pretty is it??!! I swatched it on it's on but it would look great layered over a dark creme. I found the formula a little on the thin side so I had a bit of cuticle flooding but application wasn't too difficult. 3 coats is pictured. She's Gone Orna-mental is described as a "glitter packed jelly polish with a dark blue base.. filled with a myriad of different sizes and colours of glitter - it was inspired by the baubles on a non-traditional Christmas Tree!". This just screams Christmas to me and is my favourite from the box!! I love the mix of violet, blue, turquoiuse and gold glitters. 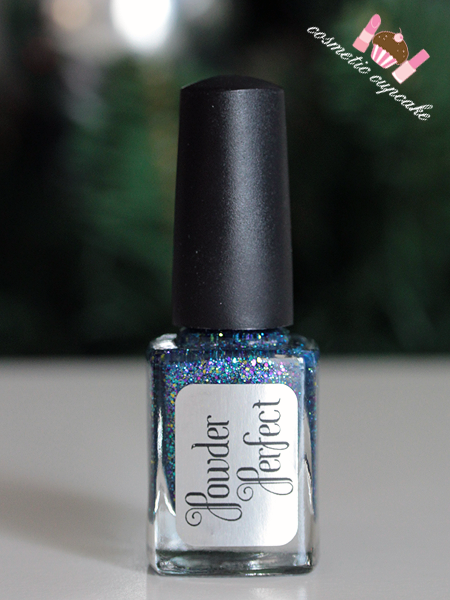 It applied perfectly in 2 even coats and is sooooooo sparkly and pretty! 2 coats is pictured with a coat of Seche Vite. Details: What's In-Die box is available each month from Peita's Polish online store for $47.99 (plus shipping) and is available both Australia wide and internationally so no one has to miss out. The price is pretty darn good as it equates to about $10 per polish and they're limited edition shades exclusive to What's In-Die Box. You know how much I love LE products!! I loved the shades included in this box as they're a bit different to what you usually find in Christmas collection but still spot on for the festive season. I'm not huge on beauty boxes but when it's polish boxes I am ALL for it! I love the surprise element as it's a great way to try out shades you might not normally try yourself. Having a different theme for each box is awesome too as I think it makes it pretty fun!! 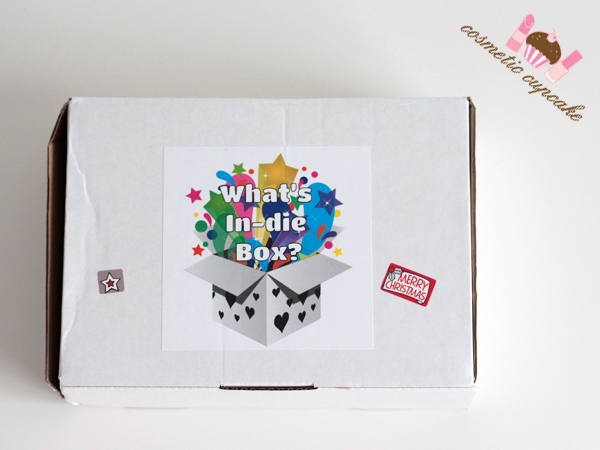 I'd definitely recommend giving What's In-Die Box a go for yourself!! I couldn't agree more! The shades are so well done and work well together! Great swatches! And the larger pics are fantastic! Yep there are times I hate them too!! Especially the really chunky ones that just stay on no matter what. I use the "foil method" to remove glitter shades. Soak a small cotton pad in polish remover and place on your nail and then wrap a strip of foil that's large enough to cover the end of your fingertip around it ( I cut mine about 4cm x 8cm). Let soak for about 5-10mins and the glitter should come off in 1 go! I think the size is nice now. I couldn't choose one of the polishes you have shown, they are soooo beautiful!